Add volume, hold and texture to clients' hair with sea salt minerals. The Bluebeards Revenge Sea Salt Spray has been specially designed with sea salt minerals to give a natural look that adds hold, volume, texture and wave to men's hair. 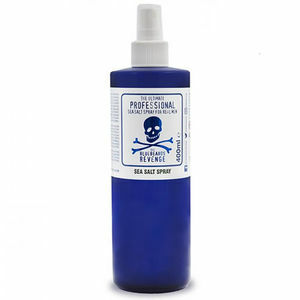 This sea salt spray is a premium-quality product from The Bluebeards Revenge who continue to offer exceptional men's grooming products.